The first P3 was built by Darlington works in April 1906 and the initial batch comprised of 20 engines. This was followed by a further 10 between June and November 1908. 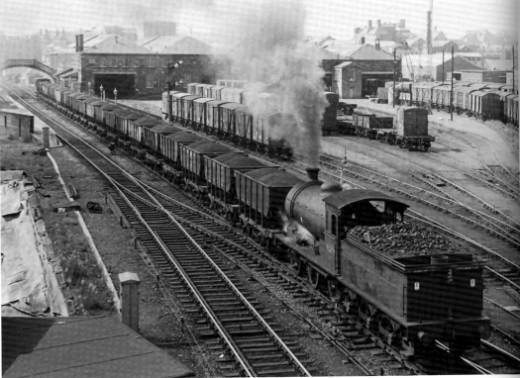 By this time, delivery of another 20 engines had also commenced from the North British Locomotive Company at a cost £3500 each and a further 20 engines from Beyer Peacock where delivered in July 1908 at £3550 each. Another 10 then came from Robert Stephenson and Company between April and September 1909 at a cost of £3537 each, Kitson’s tender for £4100 each was not accepted. Sir Vincent Raven then brought the design up to date by fitting superheated boilers and piston valves to a further 25 built in 1921/2, a following 10 where also built in 1923 of which No2392 was the last, out shopped from Darlington North Road Works on 19th September 1923. The P3s where the largest N.E.R. 0-6-0's. They were powerful hard working engines which, like the T2 0-8-0s, lasted until the end of steam in the North East of England. When new, 2392 was allocated to Bank Top shed, Darlington, then to Ferryhill to cover Durham coalfield workings until re-allocated in 1930 to York, mainly seeing use on local goods trains to Scarborough. In 1926 under the LNER’s reclassification scheme the P3s where reclassified as J27s, therefore the engine became class J27 No.2392. In 1946, under the LNER’s renumbering scheme, No.2392 became No.5894. 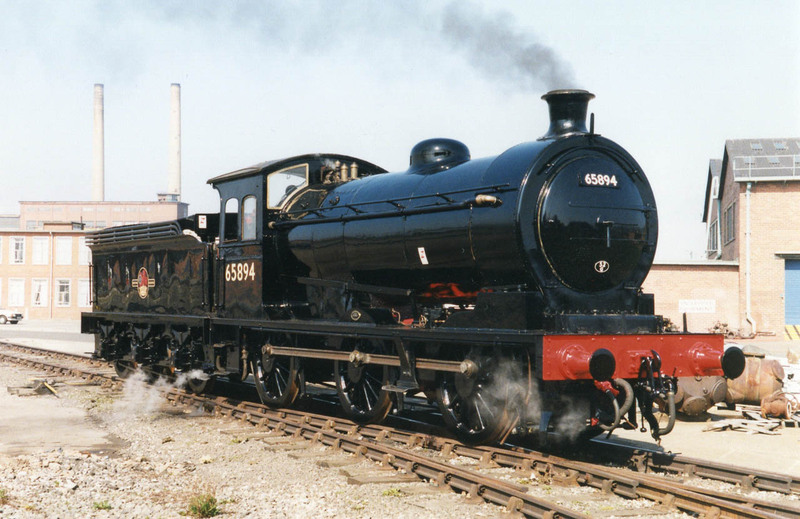 After nationalisation in 1948, the engine was renumbered again and became class J27 No.65894. The engine carried this identification until the end of its BR career in 1967. 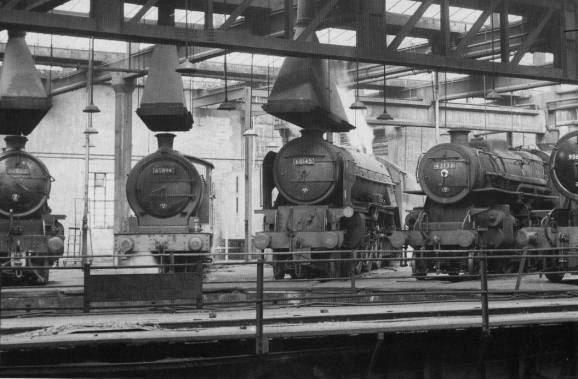 65894 in York North shed in 1965 in the company of K1 62062 A1 60145 Saint Mungo and 43138. This building is now the main hall of National Railway museum. John Hunt. 65894 spent most of its B.R. career at York, frequently to be viewed from main line trains as it stood in the Engineer's yard north of the City. In 1963 during a visit to Darlington works it was fitted with a non-superheated boiler. On 2nd October 1966 the engine was transfer to Sunderland South Dock where it joined the other surviving J27's working coal trains in East Durham. On 9th September 1967 it worked the last diagrammed steam turn from Sunderland shed. Withdrawal along with the four other survivors swiftly followed and 65894 was sent to Tyne Dock for disposal. 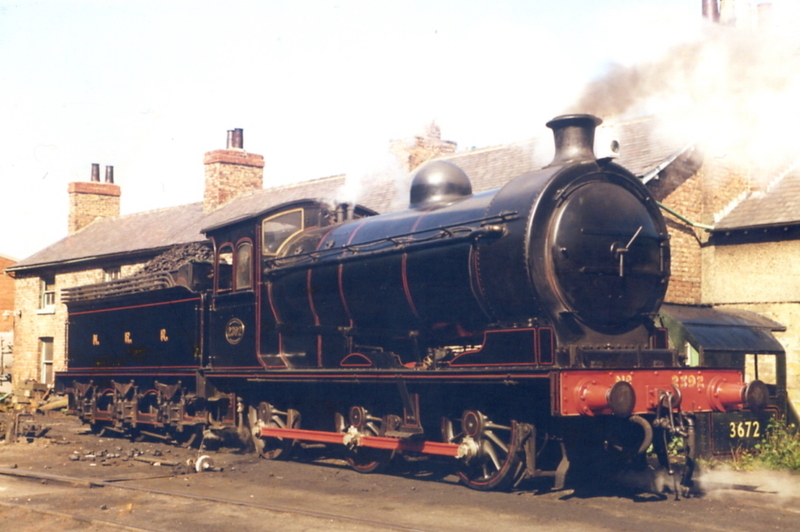 The loco was purchased directly from BR by the group on 1st December 1967. 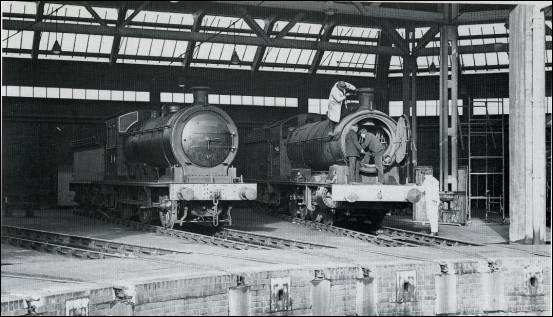 There then followed restoration to full working order, initially at Tyne Dock where the loco was stored after withdrawal, then professionally at the then still functioning National Coal Board workshops at Philadelphia County Durham, and then at Thornaby Depot. Final restoration including the fitting of a vacuum brake and steam heating apparatus for working passenger trains was fitting by the group’s volunteers at ICI Billingham. The locomotive fully restored as NER class P3 No. 2392 was delivered to the embryonic North Yorkshire Moors Railway in October 1971. 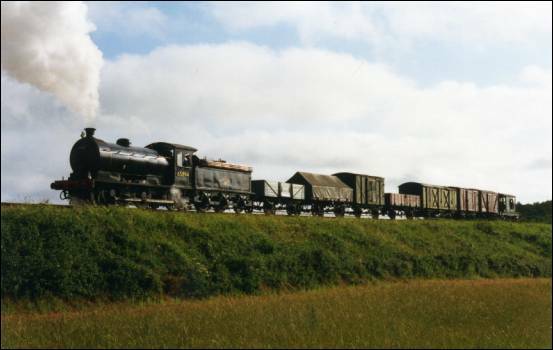 The locomotive provided the mainstay of services in the period leading up to full re-opening of the line, when it piloted Lambton Tank No. 29 on the Royal Re-opening Special of 1st May 1973. 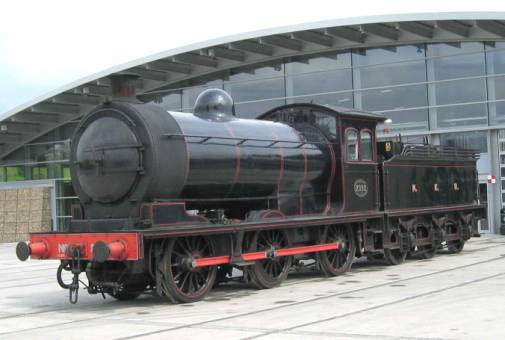 Following its appearance as an exhibit at the Stockton and Darlington 150 celebrations and cavalcade, it was withdrawn for boiler repairs. 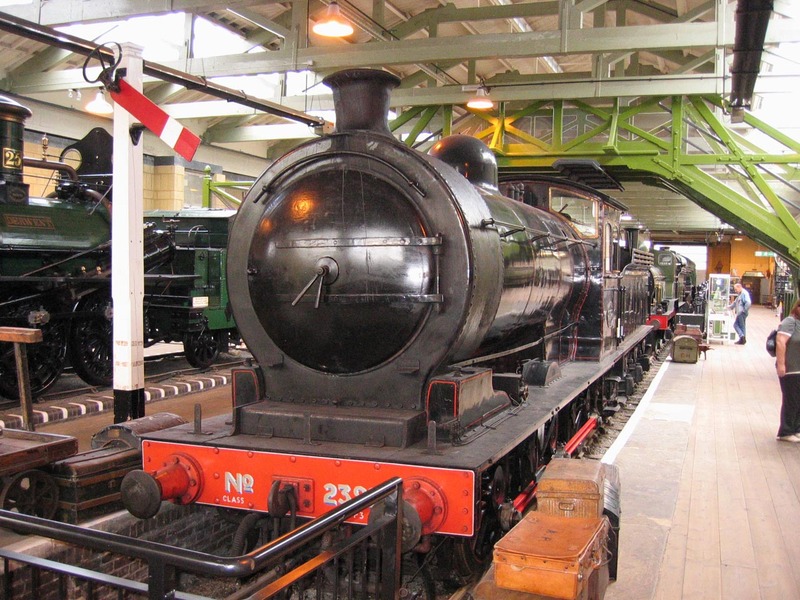 From 1977 until early 1982 it was on display in the National Railway Museum at York. After a further overhaul, 2392 returned to traffic on the N.Y.M.R. in the autumn of 1984. While the engine is useful on the N.Y.M.R. it is only capable of hauling 6 coaches up the steep 1 in 49 gradients. So during the peak summer season when the NYMR regularly runs with 8 coach trains the engine is hired out to less demanding railways, the engine has seen use on the K and W.V.R., Bo’ness and Kinneil Railway and the Llangollen Railway. The engine was withdrawn again in 1992 for a general overhaul which included retyreing of the engine and tender as well as several improvements such as fitting of a hopper ashpan and rocking grate. Repainted in B.R. livery as 65894, the loco returned to the N.Y.M.R. during the summer of 1996 hauling its first train after overhaul on the 6th June 1996. 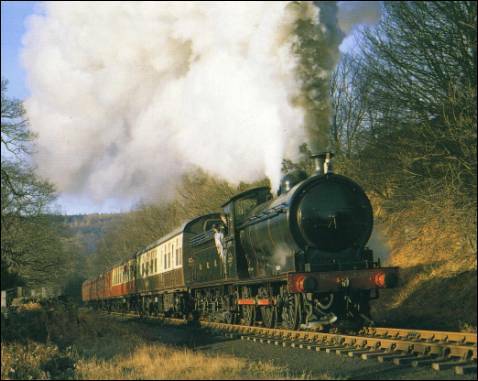 Since returning to traffic in 1996 the engine has been a regular performer on the NYMR during the early and late season, during the peak summer season the engine has been hired out to less demanding railways. 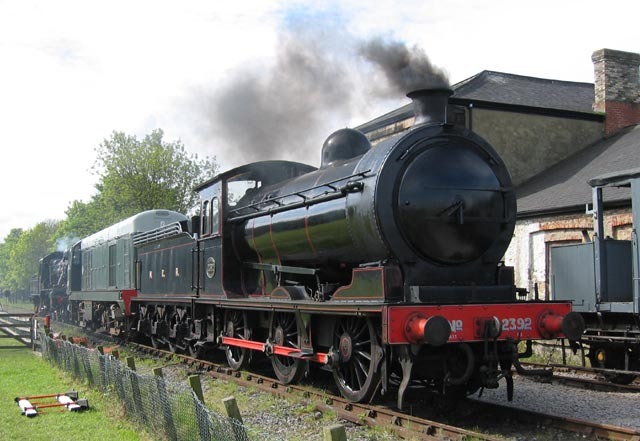 The engine has worked on the Embsay and Bolton Abbey Railway, the North Norfolk Railway, the Nene Valley Railway, the Keighley and Worth Valley Railway (for 3 summer seasons), The East Lancashire Railway and most recently the Weardale Railway. 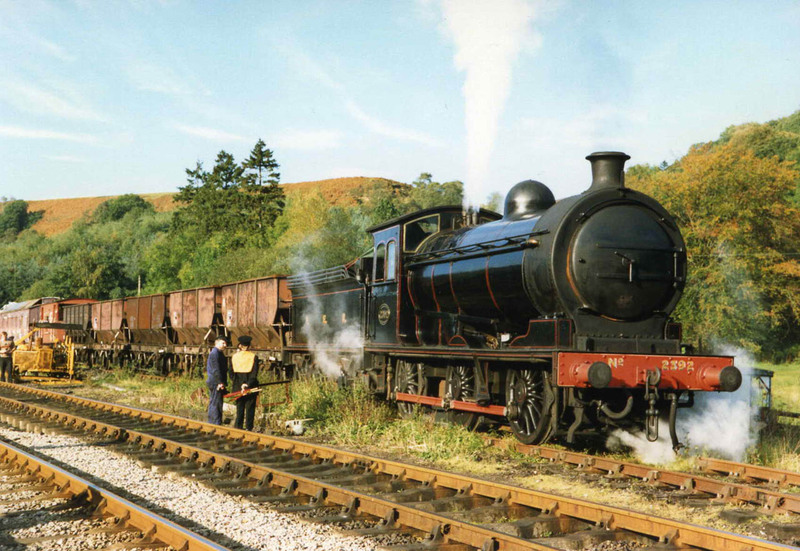 The loco also had the honour of hauling the official re-open trains on both the NYMR back in 1973 and the Weardale Railway in 2004. 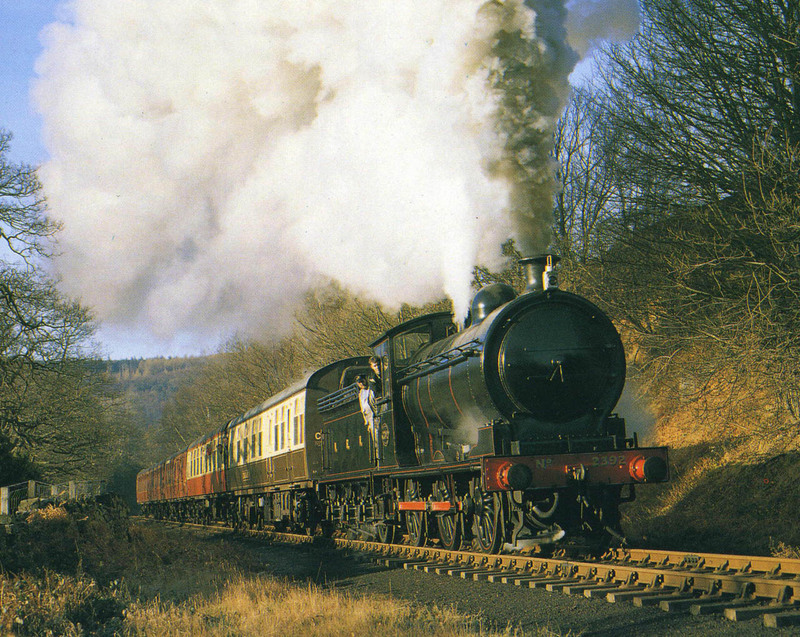 The highlight of the last 10 years for the J27 was in 1998 when the engine was certificated to run on the mainline, at the time it was the only engine available to the NYMR that had the a current mainline boiler ticket. 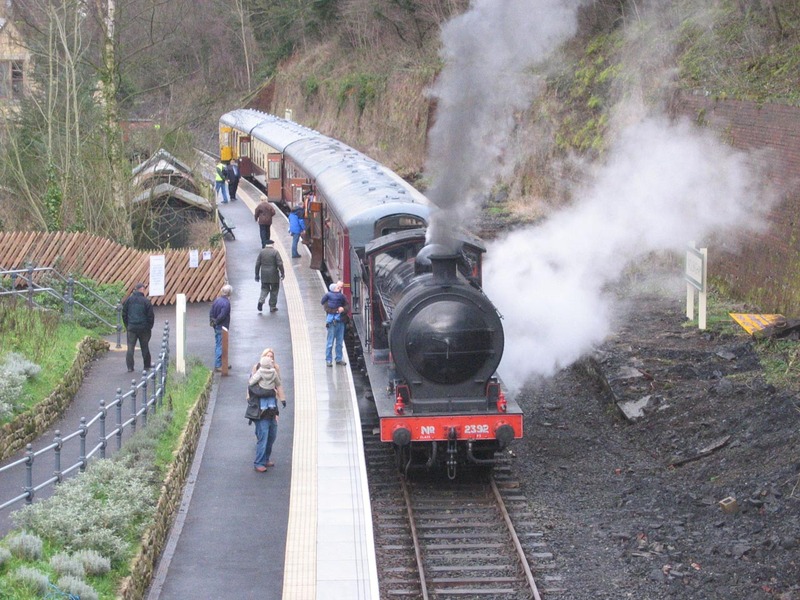 The P3 ran 2 return trips between Grosmont and Whitby this proved to be the start of what is now almost a regular service of steam specials run on the Esk Valley line by the NYMR. In June 2003 the locomotive was repainted back into its NER livery as P3 No.2392. As well as the usual running repairs the engine has also had more than its far share of other problems as well, in 2000 it became necessary to lift the engine from its wheels to undertake axlebox repairs. In 2001 during a routine examination a small leak was spotted in a boiler tube, following further investigation this then led to full boiler re-tube. Then in 2003 the RH centre driving wheel axlebox ran hot, the engine then had the centre wheelset removed for repairs to the axlebox. But by far the most serious problem we have had to deal with is the fracture in the cylinder casting. 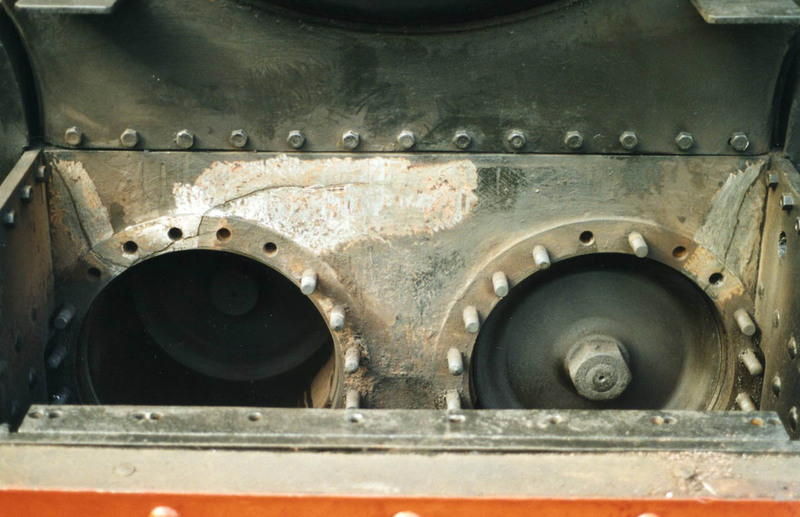 This problem can be traced back to the last overhaul, during which a crack in the cylinder bore was metal stitched and then a cylinder liner fitted. This solved the problem for several years until, in 2001, the crack suddenly spread. This again was metal stitched and again gave no more problems until late November 2004 when part of the stitching started to leak steam. A repair was again made which held for only a few months before again starting to leak. The engine was withdrawn from heavy traffic and spent the final year of its boiler ticket at the National Railway Museum outpost museum "Locomotion" at Shildon; the final few days in steam were on the demonstration track at Darlington Railway Museum. The J27 was then withdrawn from service and went on display in Darlington Railway Museum. In May 2006 the P3 moved again this time to Darlington to star in the Darlington North Road 40th Anniversary Celebrations held over the spring bank holiday weekend, at the Darlington North Road Railway museum. The celebrations where held to mark the 40th Anniversary since the closure of the towns North Road Locomotive works where the P3 had been built back in 1923. Other locomotives on display included a Standard Class 2 no’ 78019 and class 20 diesel both of which where also built in Darlington. The anniversary weekend was the last time the P3 steamed as on June 12th the boiler ticket expired. The P3 was then moved into the North Road museum where it spent time on static display. The locomotive weighs over 86 tons when in working order and is over 51 feet in length. The wheel arrangement is 0-6-0 and the 4' 7¼" driving wheels are driven by two cylinders (18½" dia. by 26" stroke) controlled by Stephenson link valve gear. The working boiler pressure is 180 psi. the locomotive produces a tractive effort of 24,642lb and is classified as a 4. The fitting of a vacuum ejector, with graduable steam brake valve and steam heating apparatus to enable the locomotive to haul vacuum braked coaches. The piston valves were modified from one broad to 4 narrow rings to improve efficiency. Axleboxes are now fed by mechanical lubricator. A rocking grate and hopper ash pan were fitted to ease the life of the fireman. 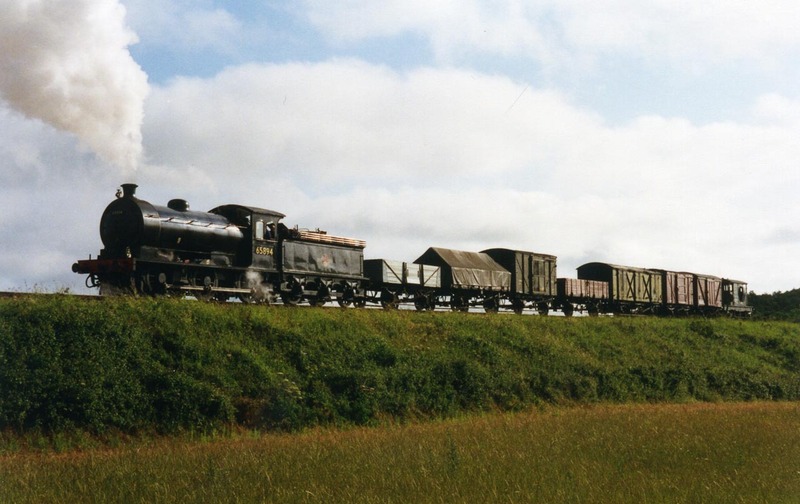 The P3 remained on display in the museum until the 2007/8 refurbishment work when the locomotive was moved across to Hopetown Carrage Works for initial dismantling and investigation work prior to overhaul.